Teletalk New Year Combo Pack! 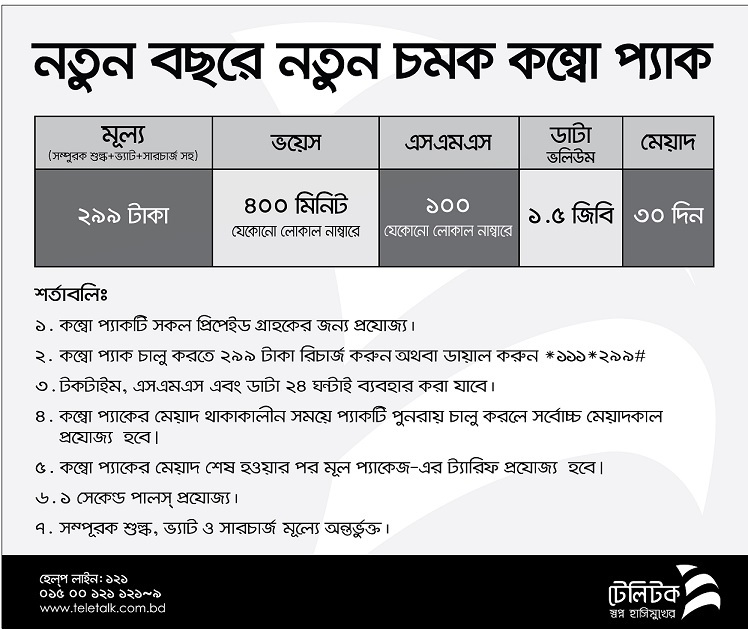 Teletalk brings a new special Bundle Offer, Where all prepaid subscribers will enjoy 400 Minutes, 100 SMS and 1.5 GB on 299 Tk Recharge. Just Recharge 299 Tk and enjoy this offer. 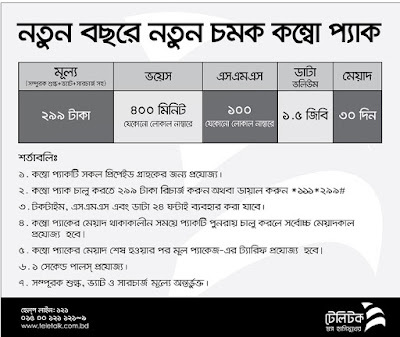 If you have any questions about Teletalk 299 Tk Recharge Offer, then comment we will replay you back as soon as possible.